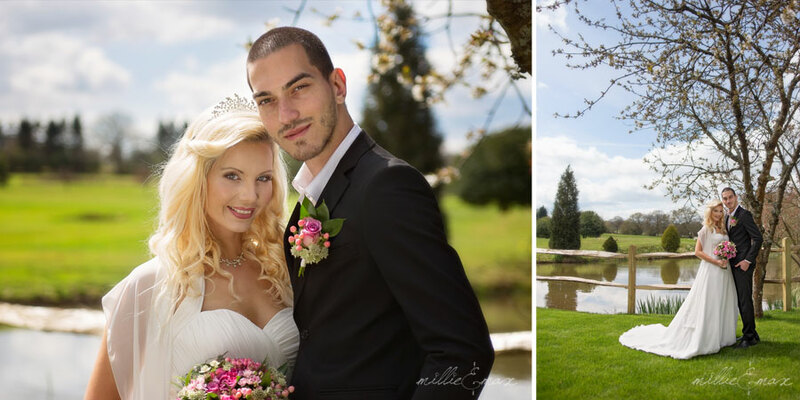 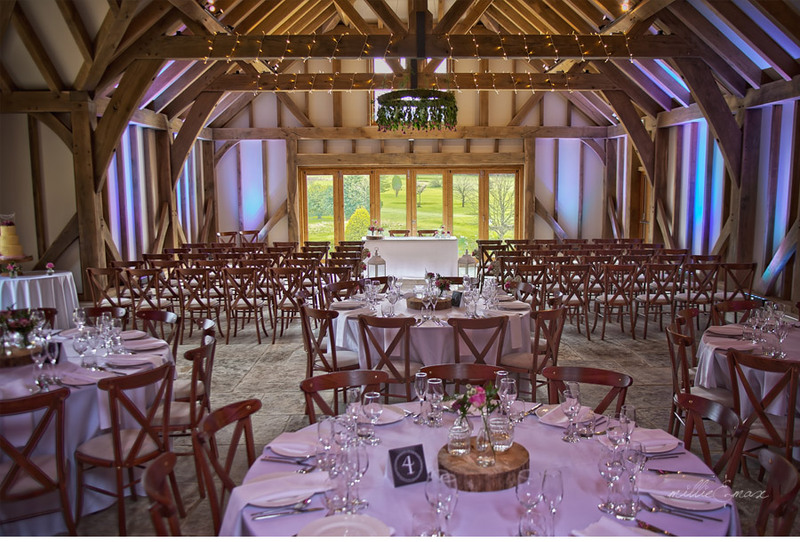 After a major refurbishment Brookfield Barn is looking stunning and ready for wedding season. 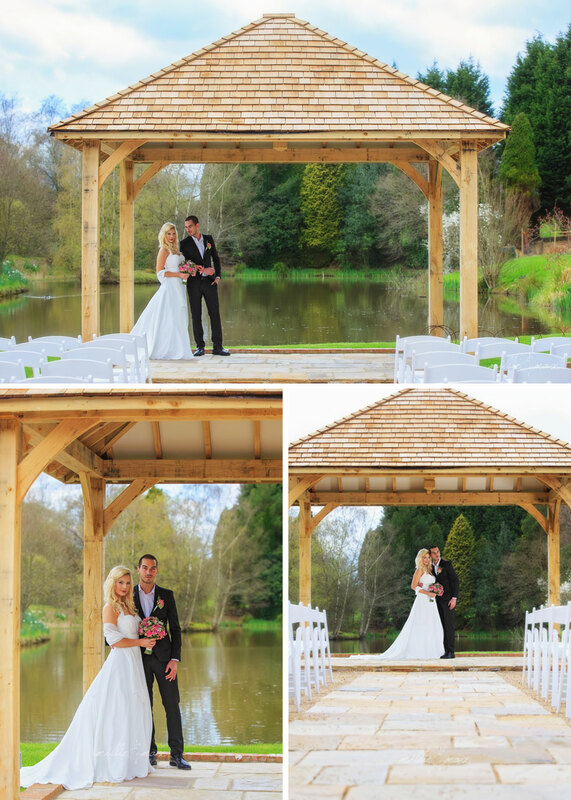 Formally Mannings Heath Hotel along Winterpit Lane, Horsham, the new owners, Christie & Andrew have taken the original building and golf course on and brought it back to life as Brookfield Barn with a nice clean finish as well as constructing an absolutely stunning Oak barn & a beautiful gazebo area outside for good weather weddings giving you options for both indoors and outside! 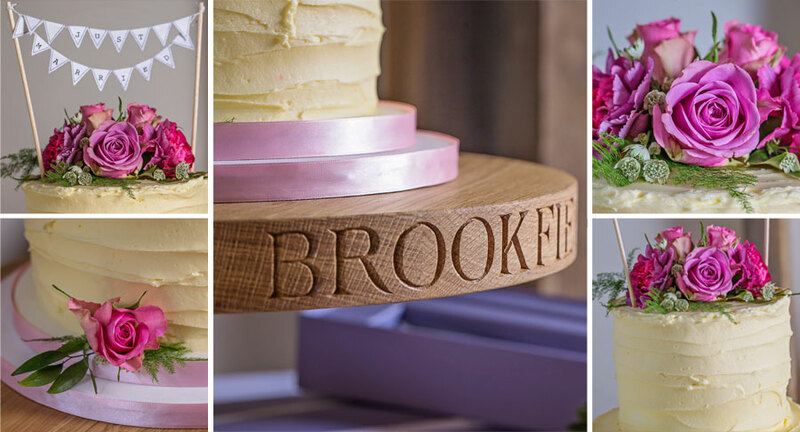 We were joined at Brookfield Barn with a range of local super talented, recommended suppliers that bought it all together. 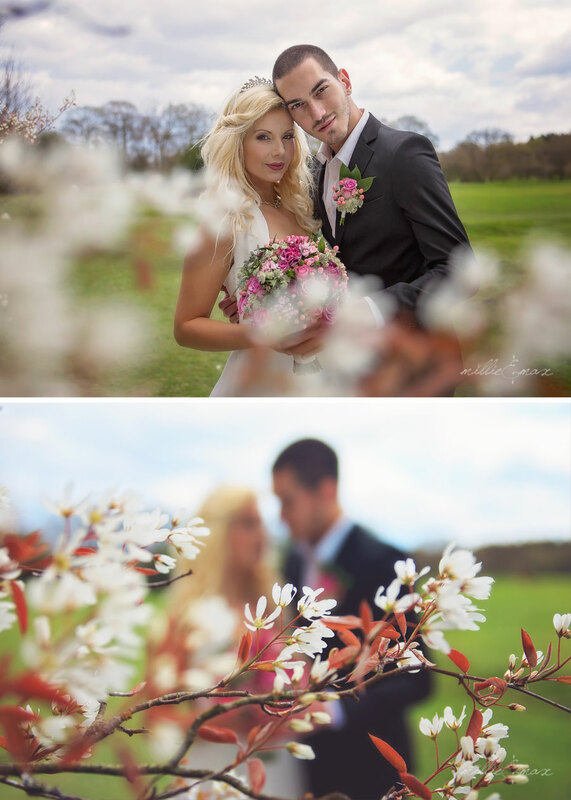 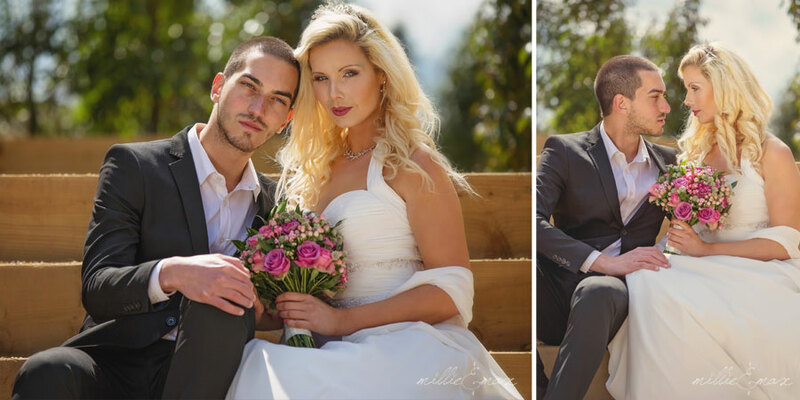 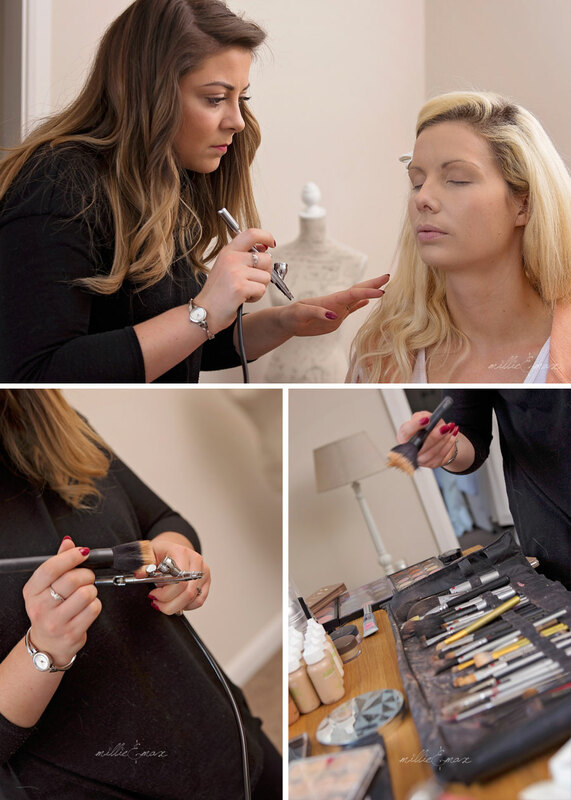 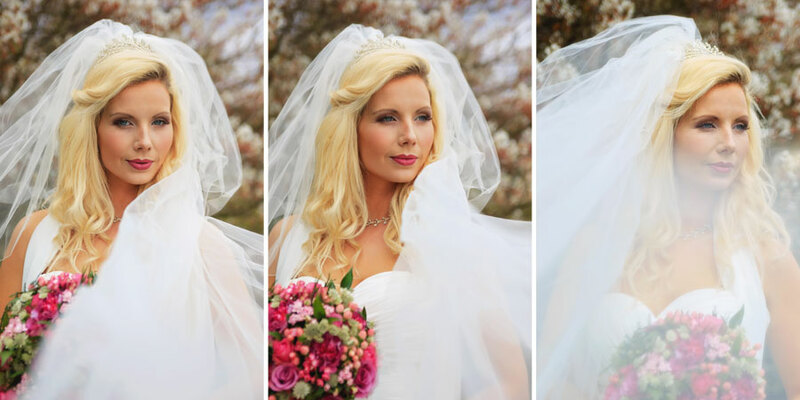 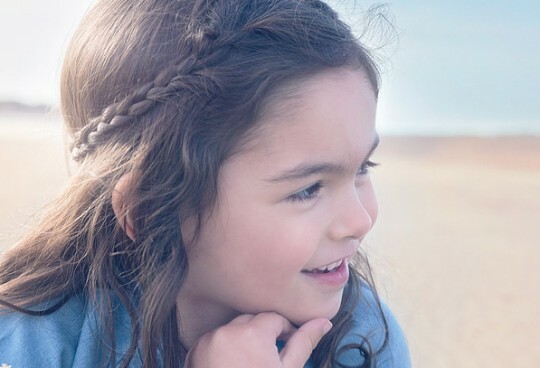 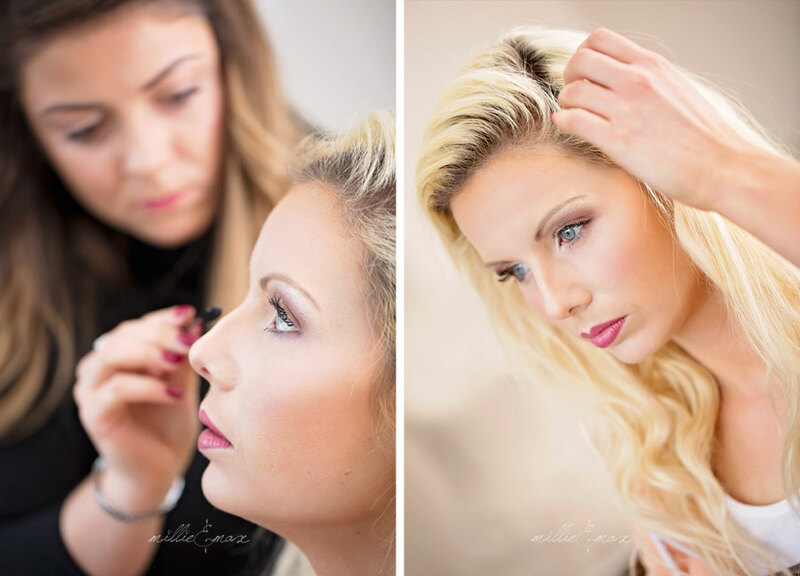 Claires Beauty – Specialising in flawless Airbrush Makeup to ensure you look beautiful on your day. 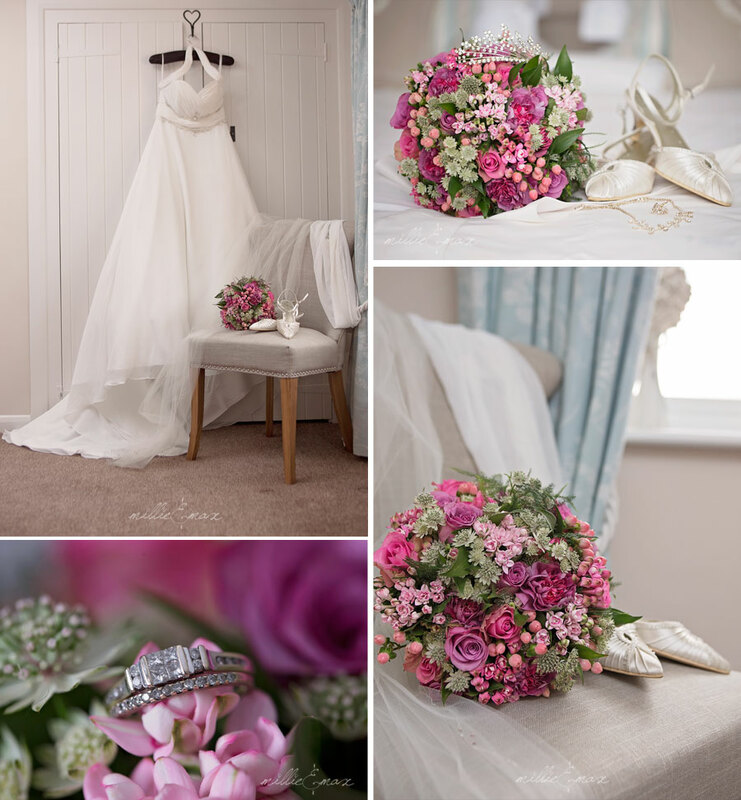 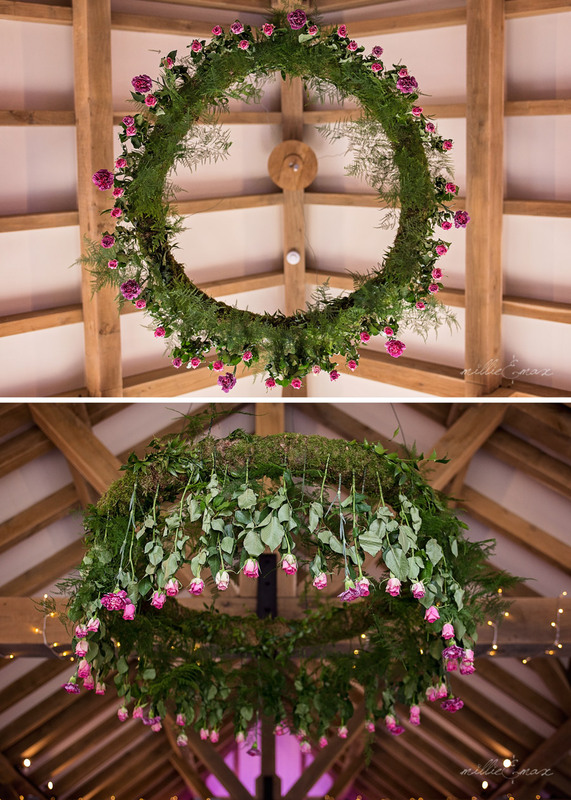 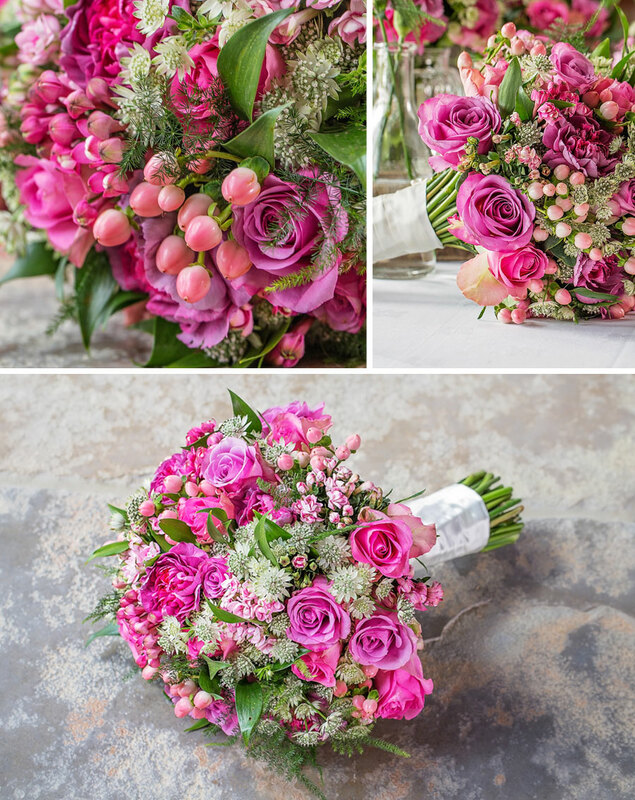 Bloom Room – Outstanding floristry including the bouquets, button holes, table floristry, flowers for the cake and a stunning rose ceiling hoop. 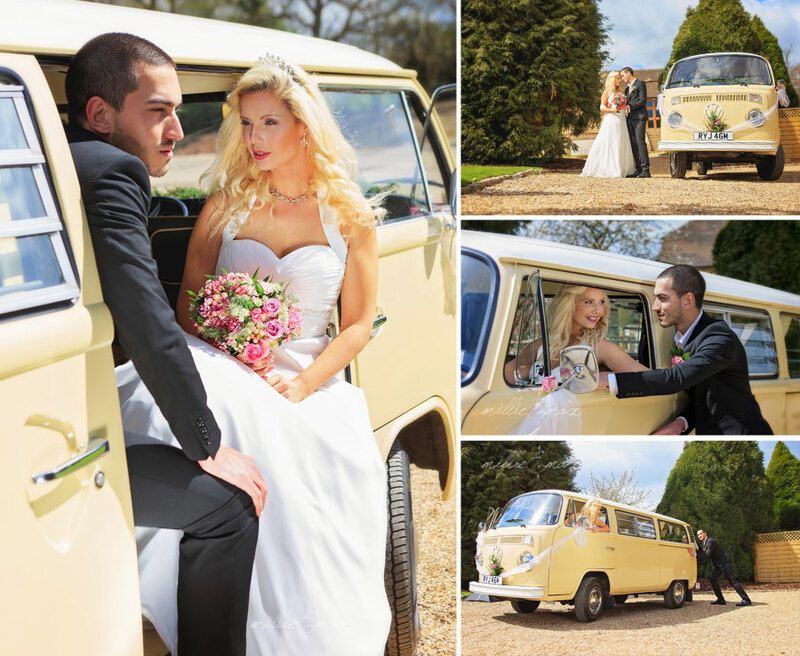 Lola the Campervan – A great addition to have at your wedding either as transport, a mobile bar or a Photo Booth! 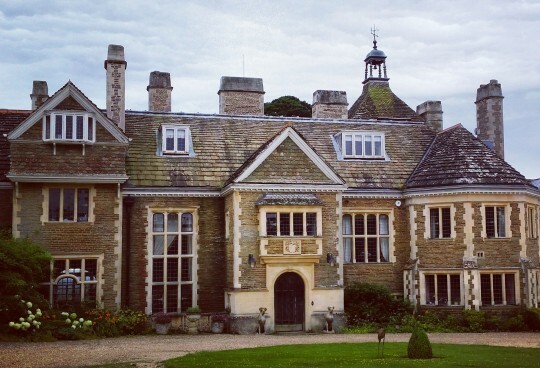 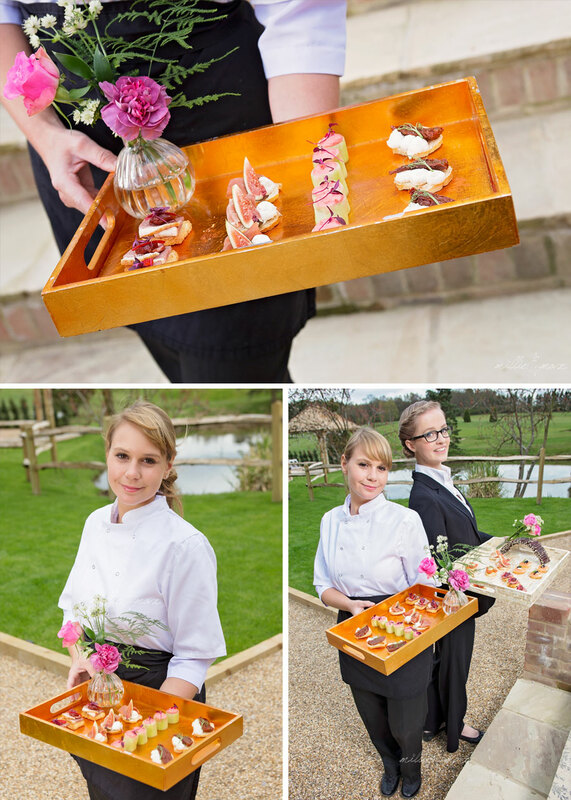 Kelmsley Catering – Prepared a selection of delicious canapés and a 4 course tasting menu that was divine! 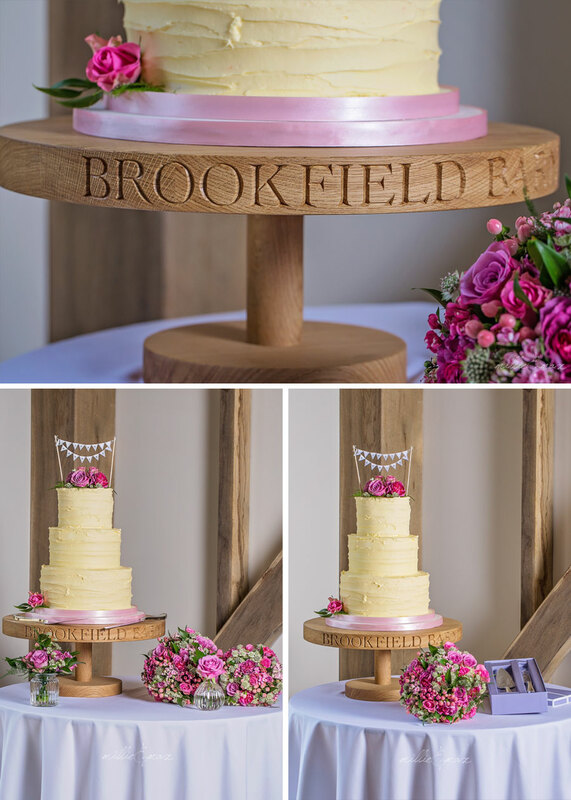 Peek-a-boo Cakes – Created a stunning 3 tier wedding cake with a mild yellow buttercream icing that complimented the colour scheme perfectly. 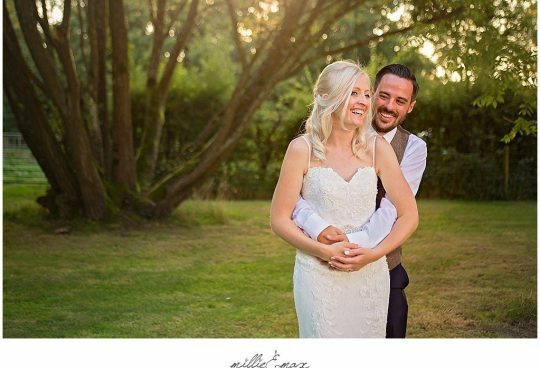 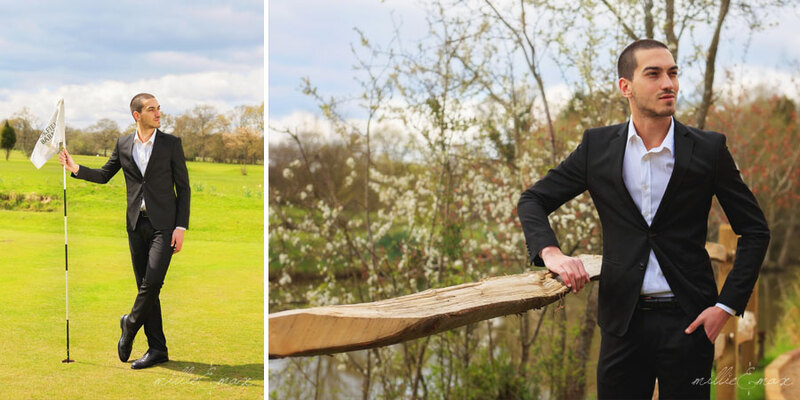 Also a very special thank you to our Bride and Groom who looked absolutely amazing. 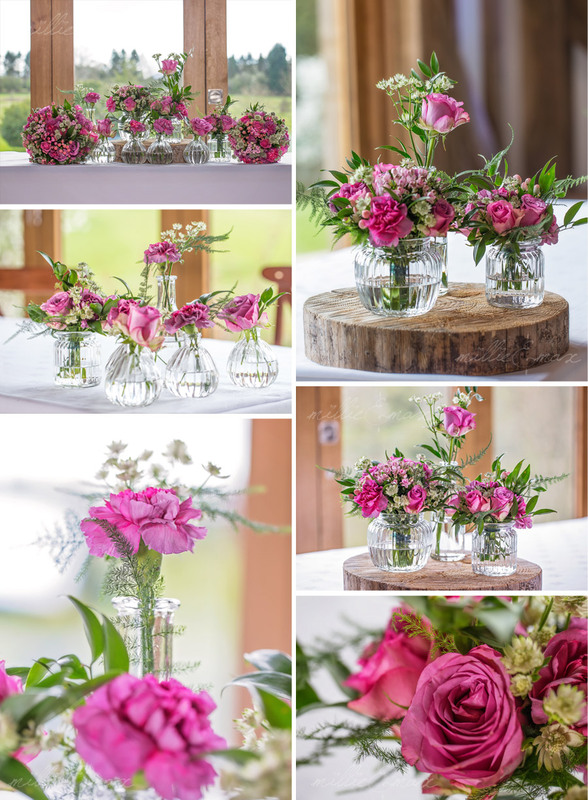 Brookfield Barn is open and taking wedding bookings which we are proud to be listed as a preferred supplier.